Without proper records, your business could very quickly disintegrate. 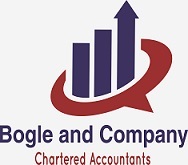 Business owners can do their bookkeeping on their own, however, many invest in a bookkeeping service, such as Bogle and Company, that will save them not just precious time but the risk of making very costly financial mistakes. payroll and accounts by a member of our Accountancy Support Services team. Software Managed Service. Maintenance of Accounts and related records on computers. Preparation of Management and Interim Accounts. Finalisation of Accounts. Preparation of Financial Year End Accounts.